let you enter all of the pre-registration fields. Trainers - please send Donna a list of you clients that will be stalling with you. Donna Arnett, 1617 Crockett Gardens Rd, Georgetown, Texas 78628. 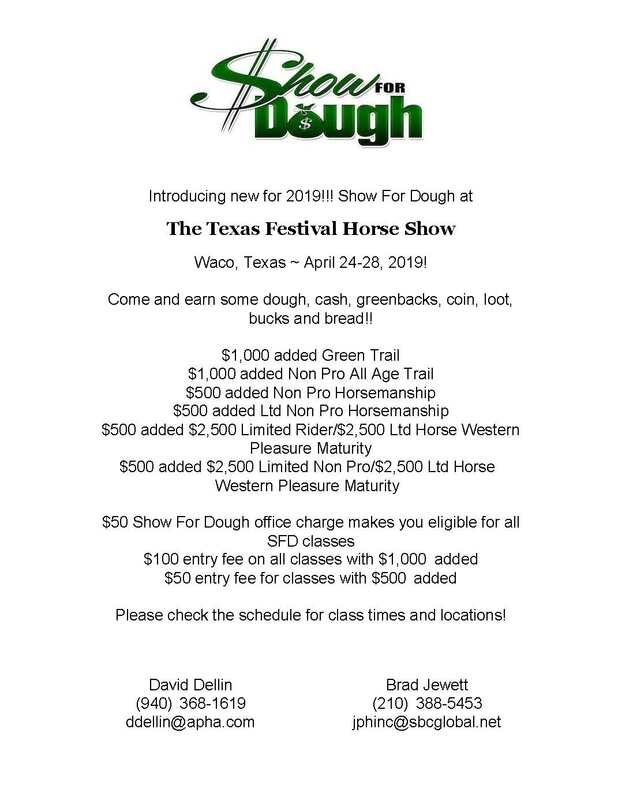 Stall Reservations Form must be in by April 12, 2019. RV hookups are $25 per night on a first come, first serve basis. 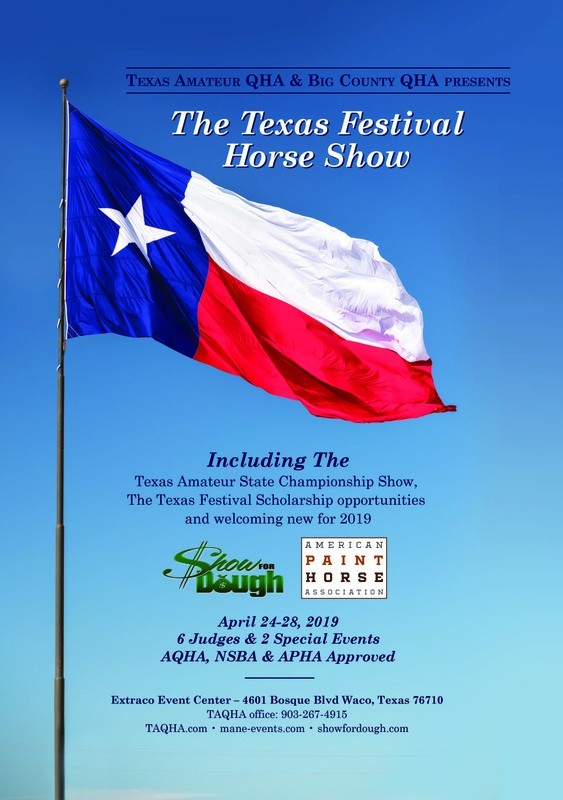 Texas Amateur State Championships/Big Country Quarter Horse Association Show rules and regulations. I have read, understood, and accept the terms of the above. ALL DIVISIONS SAME HORSE/RIDER COMBINATION! 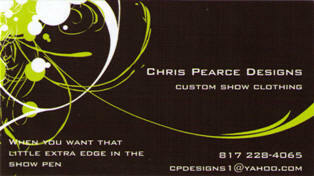 * Horse cannot have earned more than $10,000.00 to be qualified to show. treatment and drug policies shall be strictly enforced. For points to count in an individual Circuit Championship, Texas Amateur membership must be current. Points will be tabulated on a one horse / one rider basis according to the AQHA rules for show points. AQHA Rules will apply in all cases, with the additional restrictions listed here. The winner will be the rider / horse combination with the greatest total points. Ties will be broken by the most first place wins. 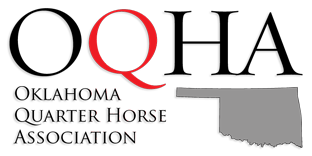 Points will be counted only from AQHA Amateur, Select, or Novice Amateur classes. 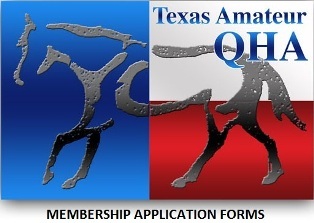 Contestants must be a current Texas Amateur QHA member before their first qualifying class begins. Points will be tabulated on a one horse / one rider basis per AQHA All Around rules for show points. AQHA Rules shall apply in all cases with the additional rules listed herein. The All Around winner will be the horse / rider combination with the most total points. In the event of a tie, the awards will go the horse / rider combination earning points in the most classes, and if still tied, then to the horse / rider combination with the greatest number of first places. Points will be counted only from AQHA approved classes for Amateur and Select Amateur All Arounds, and approved Novice classes for Novice Amateur All Around. A horse / rider combination that won an Amateur, Select Amateur, or Novice Amateur All Around Title at the 2017 Amateur Show is ineligible for the 2018 title; however the rider may compete with a different horse or the horse may compete with a different rider. The same horse / rider combination is not eligible to win the same saddle division two years in a row. Youth - Novice Youth All Around and Reserve All Arounds : Youth, and Novice Youth must show in a minimum of three performance classes under all five judges. Open - Youth - Novice Youth Circuit Awards : Open, Youth, and Novice Youth must show under four judges for circuit awards. Open to riders 11 years of age or under as of January 1, 2019. AQHA rules regarding status, membership, or ownership of the horse do not apply; the horse or pony may be of any breed and it is not necessary for the rider to own the horse. Riders in the Walk-Trot class may only compete in Walk-Trot and Walk-Trot Trail. They may not compete in other riding classes at this show. Walk-Trot Trail and Walk-Trot & Lope Trail classes will be run concurrently.